There are many web browsers to choose from these days tailored to suit each and every individual’s habits and preferences when they go online and surf the World Wide Web. Windows has developed the distinctive Internet Explorer while Apple has created the famous Safari. Despite these operating systems having their own web browsers, many frequent Internet users still opt to look for other free and downloadable browsers which they feel are specially designed and programmed to fit their web surfing needs. Two of the most popular and most often-used web browsers these days are Google Chrome and Mozilla Firefox. Let’s take a look at the two to figure out why the web surfing generation of today prefers these two applications above the others. After years of development, one of the biggest technology corporations, Google, finally released their very own web browser on December 11 2008. Prior to this, Microsoft Windows distributed Google Chrome as a beta version right after it passed the alpha testing stage and just before it was to be released to the general public. Mozilla Firefox, on the other hand, was created by MoCo—better known as the Mozilla Corporation—a firm that produces applications for Internet usage. It was created as a substitute for the Mozilla Application Suite, which has already ceased to release newer versions. Software programmers Dave Hyatt, Blake Ross and Joe Hewitt developed Mozilla Firefox and released the very first version in November 2004. 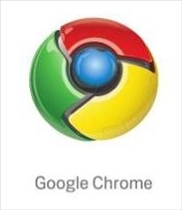 The word “chrome”, in web speak, is actually quite synonymous to GUI, or Graphical User Interface. A GUI is defined as an interface that increases a web user’s interactivity with software applications and programs. This is where Google Chrome developers adopted the browser’s name from. The name of Mozilla Firefox has undergone several changes before settling with the current title. 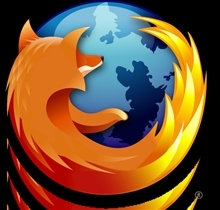 Lawsuits were threatened to be filed against the Firefox creators, mostly after the browser’s developers came under fire for trademark concerns from other establishments including the California-based Phoenix Technologies and the open source database system, Firebird. Google Chrome makes use of Webkit, a rendering machine for browsers which was originally developed by Apple inc. for Safari. Chrome is also known for its outspoken aim to provide better web security browsing even developing techniques to curb the fraudulent phishing and harmful malware. Its user interface is considerably simpler and more minimal than others with buttons to go forward, or go back, to refresh and to bookmark pages and to go to home page. Firefox on the other hand uses Gecko, a layout engine that Mozilla itself has developed. Like Chrome, they also have anti-phishing and anti-malware procedures. Firefox also provides customizable features for Internet users to enjoy. It also has location-sensitive browsing (known as geolocation), which helps identify where an Internet-capable device is being used. Both Mozilla Firefox and Google Chrome aim to provide better security in web browsing, with anti-phishing and malware technology. Both are free open-source web browsers. The layouts of Chrome was developed by Webkit, while Firefox by Gecko. Google Chrome is faster than any other browser in the planet. Google Chrome is fast, lightweight, and great. Of-course there are still issues, there is no smart navigation etc. It is still evolving... by this time next year, we can see more stable and reliable Chrome browser. Agree. But, there are so many features lacking in Chrome. For example, there is no real RSS support.